Today, the House of Common’s Home Affairs Committee will question Jeremy Corbyn for its anti-Semitism inquiry. Below is our written contribution to the inquiry. Those who claim to represent the Jewish community, and who are given voice by the media, do not represent a sizeable Jewish minority who are highly critical of Israel and the violations of Palestinian human rights. There is no wave of antisemitism in the Labour party, whilst peaks of antisemitism in the general community correlate with the attacks on Gaza. The allegations essentially constitute a campaign against the left leadership of the Labour Party and the success of the Boycott movement. There is a conflation of Jew, Israel and Zionism such that criticism of Israel or Zionism is defined as antisemitism. A particular form of Zionism, committed to territorial expansion and the expulsion of Palestinians, today informs both the Israeli government and the international Jewish establishment. Where Israel, Zionism and Jew are conflated into one identity it should not be surprising that criticism of Israel’s actions or of its current political ideology may cause some Jews to feel personally uncomfortable or insecure. It is, however, incumbent on the critics to ensure criticism of human rights violations, and/or of the ideology which informs them, are accurately focussed and do not slide into criticism of Jews and become antisemitic. Israel receives privileged attention because it has a special relationship with the UK, the EU and the USA, and claims to be a liberal democracy. The EUMC committee’s ‘working definition’ of antisemitism has not been adopted by the EU and has been disowned by it’s successor committee, the FRA. The International Holocaust Remembrance Alliance is a private body and cannot be cited to accord the ‘working definition’ any international legal status. The Jewish Labour Movement’s proposed Labour Party rule change would be a gross violation of the principles of natural justice. Due to its partiality, the JLM is not a fit body to provide the Labour Party with advice and training on antisemitism. Very occasionally individuals on demonstrations display references to the Nazis and refuse to remove them. Streets are public places and it would not be possible to remove them without force. Citing this microscopically small and insignificant minority as representative of the demonstrations or their organisers is a calumny. It is incumbent on Parliament and its Committees when taking evidence to include the Jewish groups which dissent from the mainstream Jewish narrative. a ‘Free Speech On Israel’ is a network of Labour, Green and trade union activists, mainly of Jews drawn from Jews for Justice for Palestinians, Jews for Jeremy, Independent Jewish Voices, Jews for Boycotting Israeli Goods, Young Jewish Left, and Jewdas. It came together to counter the campaign to brand support for justice for Palestinians antisemitic, and at concern for the lack of due process in the suspensions from the Labour party, with no published evidence. b. Those interviewed or referenced by the Committee who claim to represent the Jewish community all identify themselves as Zionists who defend Israel from all and any criticism, namely the Board of Deputies of British Jews, The Jewish Leadership Council, the Campaign Against Antisemitism, the Community Security Trust, British Information Communications Media Organisation (BICOM), and the Zionist Federation. They are all well resourced, with their views amplified in the media. However, large sections of the Jewish community reject Zionism and between our different groups we believe we are representative of these sections. It is evident that within the Jewish community there is considerable and deep disquiet concerning the nature of Israeli society, the Occupation and the discriminatory policies of the Israeli government. This diversity of opinion has been underrepresented in the media and, so far, in the public deliberations of your Committee. 2. Why the flood of accusations of antisemitism now? a. In our collective experience running to thousands of person years, we have experienced only a tiny number of antisemitic incidents, none of which have been in the Labour Party, and we have seen no recent upsurge. Most of the current allegations relate to the Israel-Palestine conflict. These words (summarised) are not those of a conspiratorial antisemitic leftist, but of the internationally respected Oxford University Professor and author Avi Shlaim, who is also Jewish. a. The current accusations identify three areas as targets of antisemitism: Jews, Israel and Zionism. It is the tripartite conflation of these which creates the logic that criticism of any one is an attack on Jews and is therefore antisemitic. (Initially any criticism of Israel was so defined, recently however there has been a degree of moderation such that now not all criticism of Israel is defined as illegitimate). Please read this article in full on Media Diversified. The left should “stop talking about Zionism”, Labour’s Jon Lansman argued recently in the wake of a row that engulfed the party over anti-Semitism and anti-Zionism and led to the Shami Chakrabarti Inquiry. The inquiry, which was released yesterday, suggests a better way forward. Chakrabarti, who disclosed that she had joined the Labour party on the same day she was asked to head up the investigation, found no evidence of institutional anti-Semitism within Labour. As regards Zionism, she advised “critics of the Israeli State and/or Government” to use the term ‘Zionist’ “carefully and never euphemistically or as part of personal abuse”. This is very good advice. Conversations about Zionism – carried out both by supporters and critics – are often crass, sometimes abusive, and occasionally accompanied by anti-Semitic or Islamophobic comments, particularly some of those carried out on Twitter IN CAPITAL LETTERS. 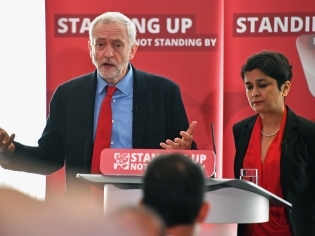 The Chakrabarti Inquiry report refused to endorse the claims of the Zionist lobby either about widespread antisemitism in the Labour Party or the identification of anti-Zionism with antisemitism. They interpreted their remit as not being a parallel process for evaluating the complaints already under investigation; that it is correct those processes have to follow their own track. However, their recommendations of a moratorium on new disciplinary processes, and that trawling through long forgotten tweets and posts should not be acceptable practice, is a strong and implicit negative comment on most of the ongoing complaints. They make, what appear to be on first reading, sensible recommendations for improving the complaints process to both ensure that complaints of substance are fully and sympathetically dealt with and to inhibit further witch hunts. The report gives no role to the Jewish Labour Movement in training or anything else (in fact they get no mention at all except as a submitter of evidence). The report has no mention of BDS or Boycott and it is reasonable to infer they find no antisemitic meaning in the boycott campaign. It is instructive to consider this report along with the findings of the Fraser v UCU tribunal www.bricup.org.uk/FraservUCU.pdf. In both cases the Zionist lobby presented their strongest case through their leading advocates. In both instances when these case were subjected to legal scrutiny they fell apart. Except in partisan fora, the identification of anti-Zionism with antisemitism cannot be sustained. The report only made two recommendations to limit the actions of Israel’s critics. Firstly to desist from the use of ‘Zio’, hardly a burden except when approaching a Twitter limit. Secondly to be sparing about suggesting Holocaust and Nazi equivalence, which can indeed short-circuit thought and hide more than it reveals, and is meaningless when the typical term of abuse for a traffic warden or obstructive bureaucrat is ‘Nazi’ or ‘little Hitler’. We need to deal with the specificity of Israel’s crimes, not resort to meaningless abuse. The most significant long-term implications are very welcome ones. The Report echoes our view that antisemitism must be viewed in the context of racism and not in the context of Israel. The report is strongly critical of the Party’s record on equality and diversity and calls for swift action to redress the under-representation of members of BAME communities among LP staff and at all representative levels. The Report does see a great need for training in equality and diversity but they believe this should be done not by partisan groups but in collaboration with the Trade Unions and with Higher Education Institutions. Corbyn responded with a thoughtful and unconditional welcome to the report. The press pack responded by only being interested in how quickly (and hopefully painfully) Jeremy would disembowel himself and wanted to be sure the cameras would be rolling when it happened. Labour Party members need to seize this report and make sure its recommendations are implemented and not lost in a welter of well-meaning, to be generous, working parties. The party exists in a racist society (and since the referendum many of us have been disappointed to learn how little progress has been made in the last 40 years) and will incorporate some of this environment into its practices – expunging them will be at minimum a generations’ long struggle. June 30 – Recommendations from an inquiry set up following accusations of antisemitism in the Labour Party are due to be made public today. Jewish party members and supporters have told the inquiry that pro-Israel lobbyists are threatening freedom of speech by making criticism of Israel a “thought crime”. Other Jewish organisations making similar arguments in submissions to the inquiry include Independent Jewish Voices (IJV), Jews for Justice for Palestinians (JfJfP), Jewish Socialists’ Group (JSG) and the International Jewish Antizionist Network (IJAN), as well as an ad hoc group of 97 Jewish members of the Labour party who have proposed creation of a new, inclusive Jewish Labour organization. 9. The Jewish Labour Movement (JLM) – an openly Zionist organization – is not a fit body to educate others on antisemitism. Its proposed changes to party rules make false charges of antisemitism more likely, disregard victims of real antisemitism, and spread fear of being accused of antisemitism, stifling debate about Israel-Palestine. Refs:FSOI submission p.10 False allegations of antisemitism; Proposal for a new, inclusive Jewish Labour organisation; JSG submission p.8. Below we reproduce the IRR submission to the Labour Party Inquiry into anti-Semitism and other forms of racism, including Islamophobia. 1. Introduction: The intense publicity in the run-up to the formation of this independent inquiry ensures that its findings will also be subject to intense public scrutiny. Despite the seriousness of the accusations levelled at the Labour Party, we believe that this review provides a unique opportunity for new standards of political responsibility to be set in the related fields of countering racism and fostering good race relations and community cohesion. 2. 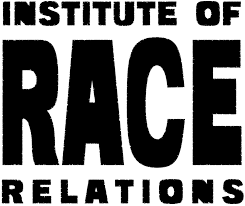 The Institute of Race Relations: The IRR, a long-standing UK-based charity that educates for racial justice in the UK, Europe and across the world, opposes all forms of racism whilst acknowledging that racism is also specific, impacting on different communities in different ways, at different times and in different areas. However, despite the fact that racism may impact differentially, law, policy and educational initiatives must not themselves be differential. All communities must feel that any discrimination they experience will be treated equally in law and practice and that all allegations of racism are treated consistently. In that sense, although the inquiry’s terms of reference mention ‘anti-semitism and other forms of racism’, IRR believes that it is confusing and counter-productive to devise community-specific programmes and urges the inquiry to devise rules of conduct which can apply across the board to all forms of racism – including anti-Semitism and Islamophobia. Hence our emphasis on returning to first principles to provide the framework within which the Labour Party could work out its specifics. 3. Distinction between attitude and act: The IRR has, from its researches and interventions over the last fifty years, realised the necessity of distinguishing between ideas/attitudes/prejudices – which are all subjective and ‘not provable’ – and the objective acting out of such prejudice – in discriminatory acts, physical violence, institutional bias, government edicts, etc. – which is open, provable and prosecutable. Hence our belief in education not penalisation as the correct response to racist ideas or prejudices, provided they are not manifested in discrimination, abuse or violence. 4. Definition of racism debased: The IRR believes that the problems that confront the Labour Party (as to how to define and provide guidance on racism) have their genesis in the fact that in the country in general there have been moves, since the 1980s, to shift the meaning of ‘racism’ from the objective to the subjective, to personalise it, allowing it to move from something tangible, and subject to prosecution, to anything that gives hurt, offence, discomfort. Racism has become adulterated by equating speech and deed, opinion and fact, attitude and act. The move to the subjective has been compounded by the Macpherson definition of a racist incident: ‘any incident which is perceived to be racist by the victim or any other person’. We feel that, in the present febrile climate as regards racism in the Labour Party, to introduce such subjectivity into debates would not in fact clarify matters of racism but open them to personal interpretations and thereby cloud the issue. In other words, anti-racism has moved from a concept relating to fairness, equality and justice to an exercise in purging people’s minds of ‘impure thoughts’ and indeed purging such people from the Party. Penalising people for perceived racist feelings or attitudes is itself biased (because based on subjective opinion), contrary to natural justice and unproductive, whereas enforcing the law when discrimination occurs is both educative and just. It is evident that certain parts of the Labour hierarchy are now so confounded by the cacophony of the changing mood music that even the use of words such as ‘Holocaust’, ‘Zionism’, ‘slavery’ can trigger an anxiety-provoked kneejerk reaction in which commonsense and natural justice go by the board. 5. Impact of identity politics: Simultaneously with the subjectivisation of racism has come the influence of identity-based politics, which tends to personalise the political and individualise the social, and move the fight against racism to a fight for culture. Obviously cultural exclusion can in certain circumstances lead to institutional racism (for example Sikhs in the 1960s being effectively banned from driving buses because the wearing of turbans was not compatible with the official uniform cap). And in other circumstances, a fight for culture can also be a fight against racism (e.g. the Gypsy and Travellers’ struggle for provision of sites). But it does not follow that all cultural or ethnic demands unmet by an organisation or state agency are tantamount to racism. This emphasis on cultural/religious/ethnic rights became official policy following Lord Scarman’s finding on the 1981 ‘riots’, that ‘racial disadvantage’ and not institutional racism was the problem and could therefore be compensated by meeting ‘the problems and needs of the ethnic minorities’. In the event, it encouraged different ethnic groups to vie with each other for preference and reduced multiculturalism from meaning inter-culturalism to culturalism meaning separateness. 6. Role of social media: What is now apparent, and no more so than in the recent cases the Labour Party has had to deal with, is that social media such as Twitter and Facebook have served to blur the crucial line between attitude and act. Previously, if you spoke perhaps thoughtlessly ‘out of turn’ about a person or a group it was in private, in the context of a conversation and at one moment in time. You could be pulled up for it there and then, made to see the error, offer an apology and so on at the time. But making that same remark on social media multiplies the offence and renders it not only out of proportion, but irredeemable. 7. Personalised racism and party politics: The danger is that in the realm of party politics, such personalisation of racism can easily take on the form of character assassination and, helped on by the mass media, become a decoy for political vendetta. 8. Racism v offence: The second major shift, which the inquiry needs to acknowledge, is the attempt to move the meaning of racism to the giving of offence – something evident in the UK since the debate over the book Satanic Verses published in 1988. The book clearly upset and offended many Muslims and might not therefore have been a wise move in terms of furthering good community relations. But it did not incite hatred, it was not unlawful or prosecutable in any way and therefore the author’s right to freedom of expression had, in a democracy, to be upheld. What is becoming blurred under pressure from various sectional interests is the line between what is illegal and what unpleasant; between what should be punished or outlawed and what can be informally dealt with, through education, for example.